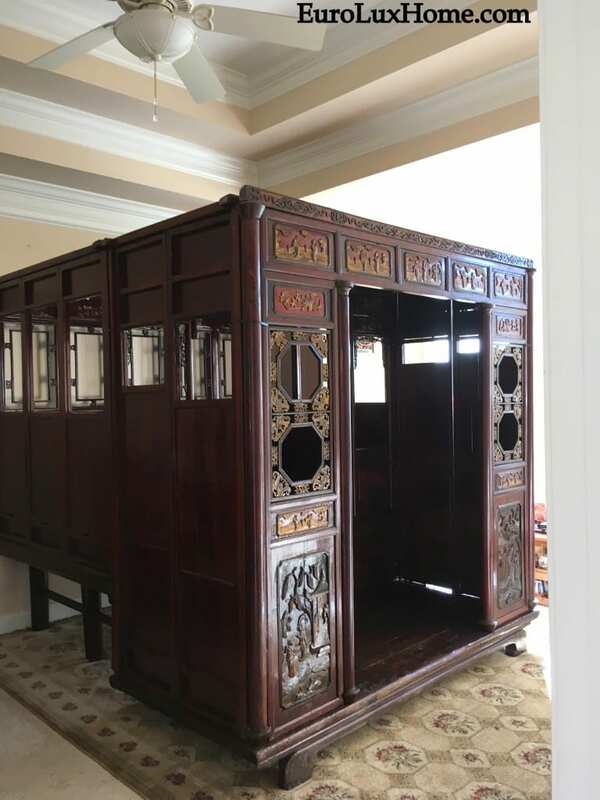 As part of our series of client spotlights, I wrote in May about this exquisite antique Chinese wedding bed that had been due for demolition before we rescued it! You will also enjoy the unusual story of how it found a new home with our customer in Greenville, SC. It had traveled a long way from its origins in the Zhejiang Province in Eastern China, and it was all thanks to our customer’s daughter’s craving for Arby’s that it landed in Greenville! Read the whole story about the beautiful Late Qing Dynasty bed with its twist of fate in my blog post about the Antique Chinese Wedding Bed. This year I made a video showing how to fix wood blemishes, watermarks and scratches on antique furniture using furniture crayons. 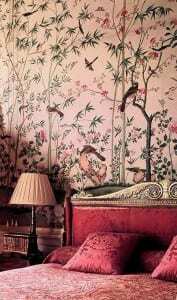 It is an easy process to solve the problem we hear quite often from people who have antique furniture. Perhaps they’ve accidentally scratched the wood or maybe they’ve inherited an heirloom that needs some superficial dings tidied up. Along with the video in my How to Fix Scratches on Antique Furniture post I’ve also given a written summary of the simple process. This was part of our series on antique furniture restoration tips and tricks. Sometimes people can be wary of decorating with pink because they fear it might look too young and girly or sugary sweet, but in fact pink is an incredibly versatile shade that can be used in lots of sophisticated ways. I wrote two blog posts to give you some inspiration about how to work pink into your interior design scheme. The first one was Decorating with Light Pink and I followed up with Decorating with Bright Pink. This shows lots of ways to bring a blush of pink into your home, from the subtlety of ballet slipper pink to the elegance of rose or a rich jolt of fuchsia. 4. What is the Renaissance Henry II Style of Antique Furniture? Renaissance Henry II furniture is always in demand. 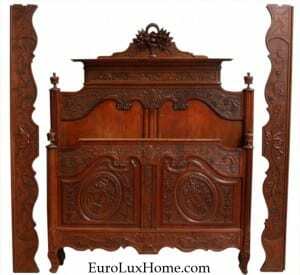 In fact, this is one of the most popular styles of furniture in our EuroLuxHome.com online store. The noble Henry II style is very classic and beautifully carved, usually in oak or walnut wood. In my blog post What is the Renaissance Henry II Style of Antique Furniture? I tell you all about the history of the style and how to identify it. I also share some photos of pieces of Henry II style furniture in our customers’ homes so you can see for yourself just how handsome it looks! This is part of my series of posts on the history and styles of antique furniture. The #AntiqueOfTheWeek hashtag is our way of showcasing some pieces that our customers might like to see because they are especially wonderful, unusual and interesting. Sometimes we highlighted a piece of antique furniture or an antique decorative object because it tied into the season or topical events. For example, we chose this beautiful romantic French antique bed as our Antique of the Week to honor the royal wedding when Prince Harry married Meghan Markle. We use the hashtag #AntiqueOfTheWeek on our accounts on on Pinterest, Facebook and Google+ so if you aren’t following those accounts already, you can search on that #AntiqueOfTheWeek hashtag. Happy new year to everyone! If you enjoyed this, see the rest of our picks for the year at this link for the Part 2 of our top 10 decor and antiques blog posts of 2018. 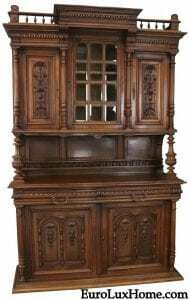 This entry was posted in Antique Furniture, Home Design Ideas and tagged antique French furniture, Antique Furniture, Antiques Blog, creative home decorating, interior decor, interior design, living with antiques on December 23, 2018 by admin.